Welcome to Panin 4 Gold Kennels, located in Upstate New York. I am a small Hobby Kennel in up-state New York, located between Buffalo and Rochester, who breeds very selectively, with temperment and health as my biggest priority, following the guidelines of the Golden Retriever Club of America, and the Golden Retriever Club of WNY, in which I am a member. 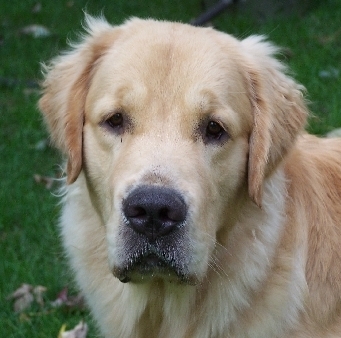 I have had the pleasure to love and be loved by Golden Retrievers for over 38 years. All of my dogs have their eyes, heart, hip and patella done, whether it be OFA or prelims. For 11 years, I had the greatest pleasure in breeding Havanese. But now my Havanese girls are now retired and sadly I lost my sweet stud boy, Tobi, on 1/6/2019, so I will no longer be breeding them. My dogs are not kenneled outside, all my Goldens and Havanese live inside my home. They are a part of my family and every-day life. They are much loved and spoiled everyday. My puppies are born and raised in my living/dinning room , handled from the moment of birth, well socialized, and given lots of love. In fact, from the moment they are born, until they are ready to go to their new homes, I sleep on a reclining chair in the living room so that I am not more than a few feet away to attend to their needs. My puppies are sold with AKC Limited Registration. Please feel free to browse and enjoy my web-site, and I want to thank you for showing an interest in my Goldens and Havanese. This is a great poem and it is so true. I know that I give up so much when I have puppies. Vacations are not heard of, because I don't like to leave my adults or puppies for long. I worry about my girls when they are expecting, and if I have to go somewhere, I rush back to make sure that everyone is OK. I am there for each litter when it is born to make sure that if need be I can get a puppy to take it's first breath (God willing) or rush the Mom to the vets if she can not deliver all of the pups on her own. I have bottle fed my fair share of babies and spent many a night with little or no sleep waiting for a litter to be born. I have fought for a little one's life that is having a hard time getting started and have known the heart ache of losing one I have tried so hard to save. ... I hold my little puppy and just sit and criticize.